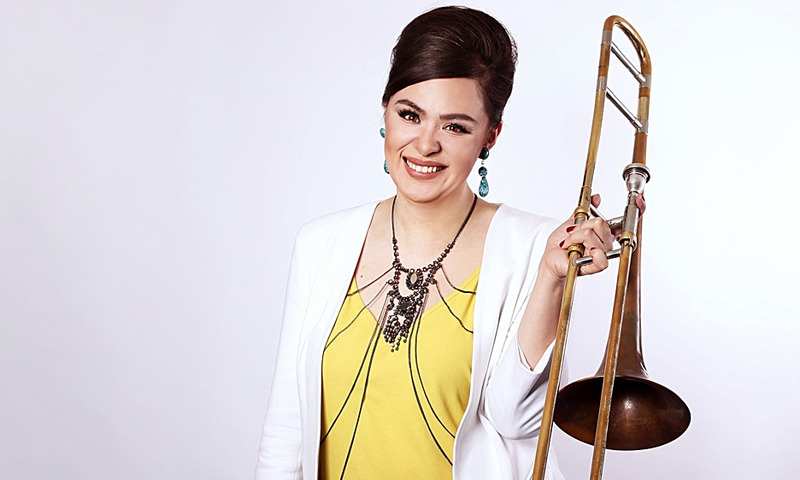 Chronograph Records is pleased to announce that trombonist, composer, arranger, educator and band leader Audrey Ochoa has won the 2018 Edmonton Music Prize! A collaboration between the Edmonton Arts Council and Alberta Music, the Edmonton Music Prize celebrates the achievements of Edmonton’s artistic community. After a stellar year of performing her compositions with GRAMMY winners and rising the US jazz charts, Audrey’s compositional and performance skills won over the jury. She beat out artists in the country, pop, urban, indie rock and world genres! 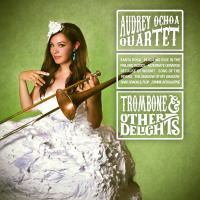 Trombonist Audrey Ochoa is a rising star on the Canadian jazz scene. After having completed studies in classical trombone at the University of Alberta, Audrey began performing professionally across Canada and abroad as a member of multiple ensembles. Audrey has found a home in jazz and contemporary music composing her own tunes that often have a Latin feel, and definitely convey her sense of humour. PJ Perry describes Audrey as “a real talent,” and mentor and trombone master Hugh Fraser describes her as “an inspired emerging artist that embodies the talent, inspiration and focus to make a major contribution at the highest level.” Having worked with or shared a stage with jazz legends like Hilario Duran, PJ Perry, and Tommy Banks, Audrey has also played with international legends like Lew Tabackin, Dan Aykroyd and the Temptations. Audrey was selected to have her compositions from arranged for big band to be featured at the Jazz Education Network (JEN) conference in New Orleans in January 2018. She performed the arrangements with the GRAMMY-nominated University of North Texas Lab Band alongside all-stars Marcus Miller, Chris Potter, and Rashawn Ross. Audrey’s second album Afterthought, (Chronograph Records) is an extension of her compositional skill and talent on her instrument. The album stayed at #1 in Canada on the jazz charts for a month in summer 2017, and hit # 20 in the US. Audrey graced the cover of Vue Weekly and has had reviews and interviews in Whole Note, SOCAN Words and Music, Edmonton Journal, Midwest Record, BC Musician, Jazz Notes with Jim Dupuis, and the Wanderer. She also has been published twice as a featured columnist in Canadian Musician as an expert instrumentalist. Audrey was nominated for a 2018 Western Canadian Music Award, and won the 2019 Edmonton Music Prize beating out all genres. She took home the trophy for Jazz Recording of the Year at the 2018 Edmonton Music Awards.